They say honesty is always the best policy in life, and in the area of insurance disclosure is everything. At least it is if you don’t wish to risk invalidating your policy. However it still seems that those attempting to kick the nicotine habit are still receiving a bum deal from UK life insurance policy providers, according to a piece which first appeared on www.telegraph.co.uk. Nobody will argue against the generally-held (and medically-proven) opinion that smoking tobacco is bad for you, however insurers are rolling out this theory and practice to still unchartered territories. Life insurance policy premiums have always been nearly double those routinely quoted for non-smokers, and understandably so, as it’s statistically perceived that the nicotine-addicted policyholder has an increased likelihood of being diagnosed with a life-threatening condition or disease during the term of the agreement. Yet surely the same rules of insurance engagement don’t apply for those who choose to vape their way off cigarettes? Whilst patches and hypnosis fads have come and gone with varying degrees of success for the individuals actively participating, a whole new generation of smokers are now making serious strides at quitting full-strength cigarettes courtesy of so-called ‘vaping’ and ‘e-cigarette’ nicotine-weaning substitutes. These alternative products alone have been directly responsible for thousands of British smokers kicking the habit during the past few years, and even the Government have backed keen medical evidence by coming out and suggesting that smoking e-cigarettes/vaping is some 95% less harmful than its more orthodox and widespread health-compromising predecessor. Yet despite the support of both health bodies and government insurance providers are maintaining that they’re on equal footing with conventional cigarettes and subsequently penalising policyholders to the same financial ends. 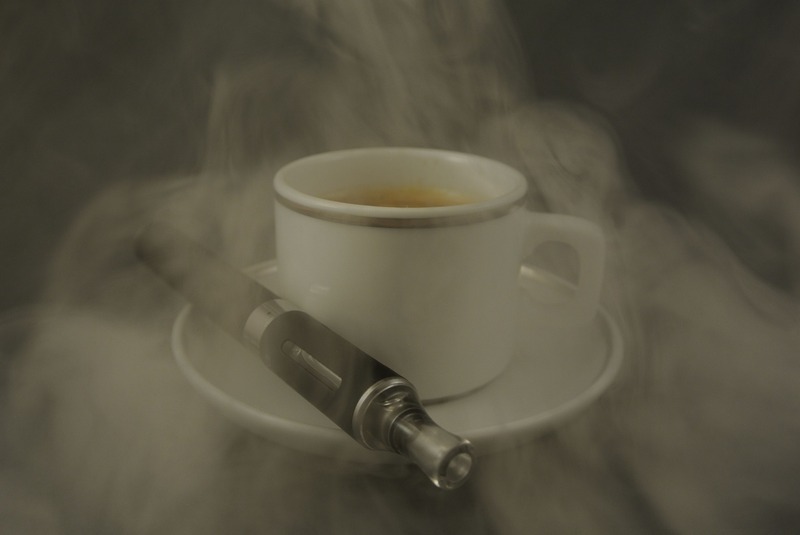 Put starkly – as UK life insurers tend to – smokers are presented with something of a Hobson’s choice, in as much as they are asked to box tick whether or not you’ve ‘smoked any tobacco products over the past 12 months (including e-cigarettes)’. And therein lies the rub. A ‘yes’ response will ensure that your premium will ergo be almost twice as expensive. As experts in various fields argue, if the life insurance providers in this instance were to defend their unswerving protocol by stipulating statistics were used when underwriting their hardline policies, then perhaps they’d be more grudgingly accepted, yet for the most part they don’t even ask proposers to specify if they vape or smoke, thus severely restricting any presence of data on which to base their policy decisions from the outset. and given the underlying fact that e-cigarettes in a multitude of guises have been with us for nearly 10 years now, this has allowed more than adequate time to accrue meaningful research and results to potentially substantiate why they aren’t prepared to cut vapers some premium slack. According to critics this amounts to collective collusion in a cynical ploy to feather insurance nests further, and as part of a broader picture many believe that the insurance industry regulators should take a timely review of just how policymakers arrive at their price-setting.